The 10 Best Antique Stores in Iowa! Whether you are a casual peruser or frequent buyer, if you are in the market for antiques, collectibles or just something to give your home a little character, the state of Iowa is stacked with a seemingly endless number of antique stores. Featuring well-known stores to hidden corner shops, the antique stores in Iowa vary from one another almost as much as the inventory you can find behind their doors. To start your search for the next treasure to add to your home, it’s well worth your time to check out these 10 best antique stores in Iowa. The goal of West End Architectural Salvage in downtown Des Moines (plus their new additional location in West Des Moines) is to provide Iowans access to treasures otherwise found across the world. Whether you are looking for a new table to add to the kitchen or decorative items to hang on the wall, West End’s inventory is always changing with each new truck load and always offers unique “salvaged” and consignment items, making each visit to West End Architectural Salvage a unique treasure hunting experience for every visitor that walks through the door. Perhaps Iowa’s most famous antique store, due to Antique Archaeology’s celebrated show on A&E, “American Pickers,” this antique store isn’t just reserved for the television cameras however. With any and every visit to Antique Archaeology on Davenport Street in Le Claire you might not only catch a glance at Iowa’s own TV celebrity Mike Wolfe, but you can always find the best picks found on his highly-rated television show. While you are there, be sure to stock up on some “American Pickers” merchandise, and who knows, you might even find yourself making a cameo on the next episode. The town of Kalona itself already invites visitors to take a step back in time towards a simpler life, and the Kalona Antique Company, located in a renovated 1890s church, is the epitome of a community built on traditional values. Featuring quilts, furniture, glassware and much more, you’re sure to find something unique in the 3,200 square feet of space that Kalona Antique Company fills. While the inventory is always changing, and the treasures often come and go, the one thing you’ll always find with the Kalona Antique Company is the small-town charm and friendliness that defines the entire community. The Brass Armadillo Antique Mall in Des Moines is part of a larger system of chain antique malls spread across the nation. Don’t let the non-local aspect of this unique antique mall turn you away however, because the good people at the Brass Armadillo still offer the customer service and kindliness you’d expect at a local establishment, and with a network of stores in place, the Brass Armadillo offers an excellent selection of repurposed furniture, jewelry and keepsakes, plus one-of-a-kind memorabilia you can’t find anywhere else. Located just south of the Iowa State University campus, Ames Antiques has been serving the Ames community for over 40 years with anything and everything antique you could possibly be looking for. 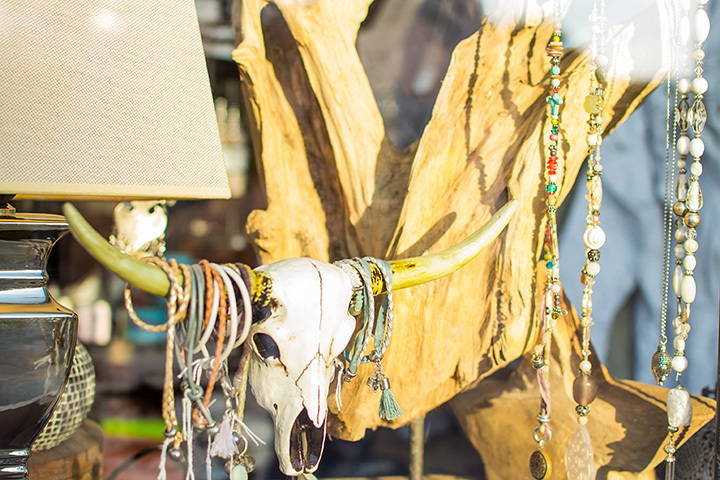 Whether it’s furniture, yard art or unique memorabilia, Antique Ames also includes a greenhouse to add a little more color to your next antique purchase and shopping experience within their two-story barn and outdoor shopping space. Featuring over 22,000 square-feet of antiques and collectibles, the Plaza Antique Mall in Dyersville is your one-stop-shop for one-of-a-kind treasures and collectibles. With everything from unique advertising signs to handmade furniture, be sure to dedicate the at least a whole day to explore everything the Plaza Antique Mall has to offer. With an always rotating and ever changing inventory, every visit to the Plaza Antique Mall is sure to feel like a new one, and with so much space to see for yourself, you’re always guaranteed to find something new at this vibrant and fun location. Coins, collectibles and even hand-crafted clocks made right there in the community, you can expect to find this and much more at the Timeless Treasure Corner in Oskaloosa. Whether you have something in mind or you just want to see the selection, residents from Oskaloosa and beyond are guaranteed to find something they like in this Oskaloosa antique staple, and if you don’t happen to find something that catches your eye the first time around, check back in a week when some new inventory will surely tickle your fancy. Tucked away just south of downtown Iowa City on South Gilbert Street, Sweet Livin’ Antiques & Art has plenty of sweet stuff to hang on your walls or add to your closet, but what really makes this antique store stand above the rest is the ample amount of vintage records and LP’s that line the 3,000-square-foot building. Featuring classic rock, new age and much more, Sweet Livin’ Antiques & Art has often been remarked to be the best independent music store in the state of Iowa when it comes to records, and to get your needle spinning on something sweet, you’ll have to stop by and check out it yourself. Open seven days a week in the charming town of Mt. Pleasant, Brown Bear’s Basket is your one-stop-shop for antiques, collectibles and more. Featuring clocks, lawn furniture and even repair, this locally owned, wonderfully stocked antique store is not only ample in its antique selections, but the friendly staff is always welcome to serious shoppers or those just looking to chat. To see the ever-changing selection of antiques and accessories, stop on down to the Brown Bear’s Basket yourself and check out the selection. Walnut is not your ordinary small town in Iowa, and it stands uniquely on this list because it’s not just one antique store, but the 20 plus specialty shops and antique malls that line the streets makes Walnut the official Antique City of Iowa. With so much selection to choose from, and too many stores to visit in a single day, whether you are a serious antique collector or someone that just enjoys the search, Walnut is your one-stop-city for all things antiques and collectibles. Reserve the weekend for your next Walnut visit, and be sure to save some space in your trunk, because you’re sure to find your next piece of treasure hidden somewhere along the streets of Iowa’s Antique City.